Imagine yourself strolling down the same groomed fairways where Arnold Palmer learned to play the game of golf. Or muscling out of the deep rough where the Legend perfected his pitch shots. Maybe you're standing over a 20-foot putt on a two-tiered green that Deacon Palmer, Arnold's father, helped design and create. Following your round you walk into clubhouse and dine in the Palmer Grille. Playing 18 holes at Latrobe Country Club is much more than a game. It's something special that members call the Arnold Palmer Experience. There's nothing else quite like it in the world of golf. Our golf course features mature tree-lined fairways, sculpted landing areas and well-protected, undulating greens. Water hazards come into play on five holes. Our signature hole is Number 4 (135 yards, par 3), which requires a tee shot over Rattlesnake Creek onto the green. 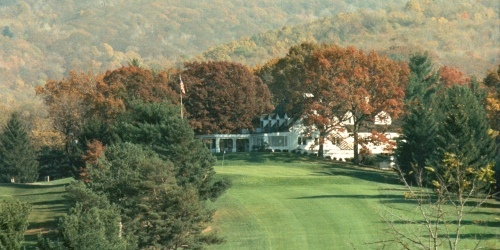 Spring Valley Golf and Lodge is an 18 hole public golf course, located near the small town of Mercer, in Western Pa. Spring Valley's all included "stay and play" golf packages offer unlimited golf with cart, fabulous food at the Hell's Hollow Bar and Grill, and unique lodging at "the only golf course in Mercer County with onsite accommodations". Take a deep breath, close your eyes and imagine standing over one of 27 holes of golf in a natural Pocono Mountains setting. 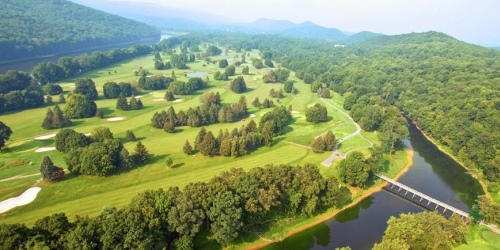 This is golf at The Shawnee Inn and Golf Resort, featuring one of the most prized golf courses in the Northeast. The Shawnee course was completed in 1911 and is A.W. Tillinghast's first-ever design. The Shawnee course has a tee to green irrigation, ensuring the best golf conditions in the Poconos. The Shawnee Inn and Golf Resort boast a long line of greats who've played our championship courses, including Walter Hagen, Sam Snead, Arnold Palmer, Lawson Little, Long Jim Barnes, and Johnny Farrell. Glen Mills, the award winning golf course, is located in Pennsylvania's historic Thornbury Township. 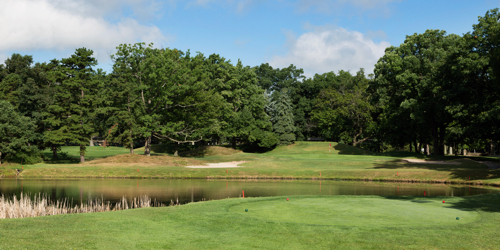 It is the only golf course in the Philadelphia area featuring 12-minute starting times. Pocono Manor Resort & Spa, formerly The Inn at Pocono Manor is a five square-mile mountaintop resort listed on the National Registry of Historic Places. Over the 100 years our 18-hole East course has been in existence-with holes designed by classic-era giants Donald Ross and William Flynn.